Arbitration, is one type of alternative dispute resolution (ADR), and is an approach used for resolving of disputes outside the courtroom. A third party is used to review evidence presented in a case and then renders a decision that is legally binding on both sides and is enforceable in the courts. Parties to arbitrations agree to be bound by the arbitrator's decision or "award." 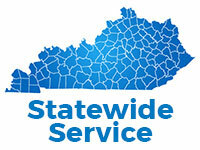 Taylor Court Reporters KY has over 40 years serving the Louisville KY and Lexington KY areas, as well as Kentucky statewide with superior court reporting services, including providing court reporters and legal video for depositions, arbitrations, mediations, and labor and contract negotiations. If you're looking for transcription of your next arbitration or mediation, the experienced court reporting professionals at Taylor Court Reporters KY can help. We have offices and conference rooms in Louisville KY and Louisville KY court reporters and legal videographers who are ready to assist you throughout Kentucky. Taylor Court Reporters KY also has offices and conference rooms in Lexington KY and our Lexington KY court reporters and legal videographers are some of the best court reporters in Kentucky. Searching for advanced litigation support and real-time court reporters, we can help! Need it fast, let us know, we can do that, too! Taylor Court Reporters KY offers expedited video and court reporting services because your schedule dictates our schedule. For superior court reporting and legal videography you can count on, including depositions, arbitrations, hearings, and labor and contract negotiations and disputes, you can count on the professional court reporters and legal videographers at Taylor Court Reporters KY. 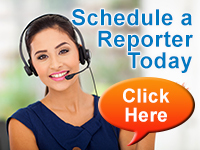 Call or email Taylor Court Reporters KY today to inquire about our vast array of court reporting services. arbitration noun (Concise Encyclopedia) : Process of resolving a dispute or a grievance outside a court system by presenting it for decision to an impartial third party. Both sides in the dispute usually must agree in advance to the choice of arbitrator and certify that they will abide by the arbitrator’s decision. In medieval Europe arbitration was used to settle disputes between merchants; it is now commonly used in commercial, labor-management, and international disputes. The procedures differ from those used in the courts, especially regarding burden of proof and presentation of evidence. Arbitration avoids costly litigation and offers a relatively speedy resolution as well as privacy for the disputants. The main disadvantage is that setting guidelines is difficult; therefore the outcome is often less predictable than a court decision. See also MEDIATION. mediation noun (Concise Encyclopedia) : In law, a nonbinding intervention between parties to promote resolution of a grievance, reconciliation, settlement, or compromise. It is used especially in labour disputes. In many industrialized countries, the government provides mediation services in order to protect the public interest. In the U.S., the National Mediation Board functions in this capacity. Mediation is also commonly used in international conflicts. See also ARBITRATION. court reporter noun (Merriam-Webster) : a stenographer who records and transcribes a verbatim report of all proceedings in a court of law. Taylor Court Reporters KY is headquartered in Louisville KY offering superior court reporting services with offices, conference rooms, and professional court reporters in Louisville KY and Lexington KY. Taylor Court Reporters KY serves clients throughout Kentucky and across the nation.